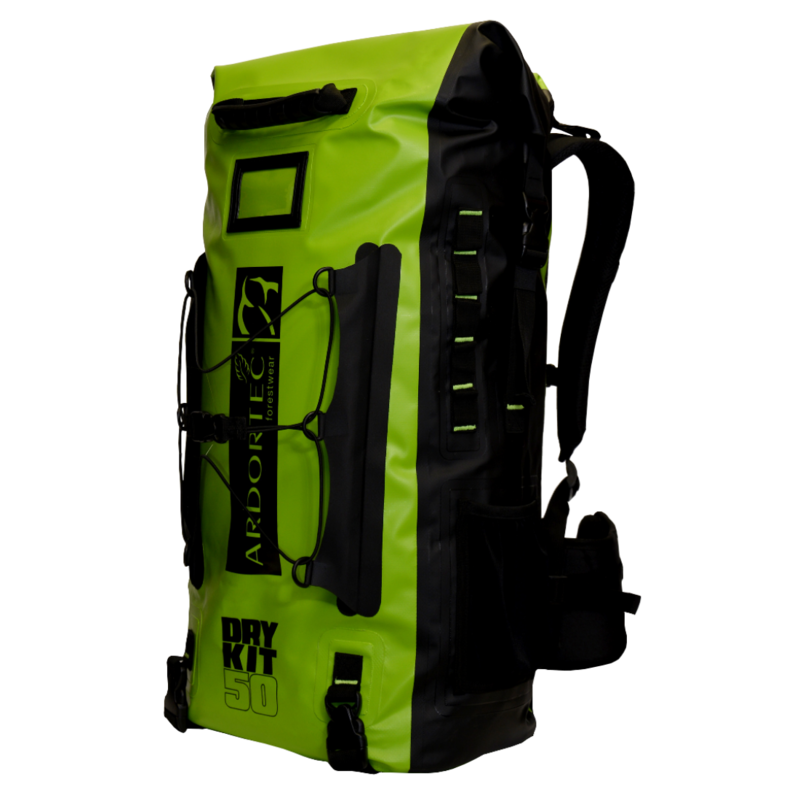 The AT104 Python waterproof back pack is a true all-rounder and a super comfortable rucksack. 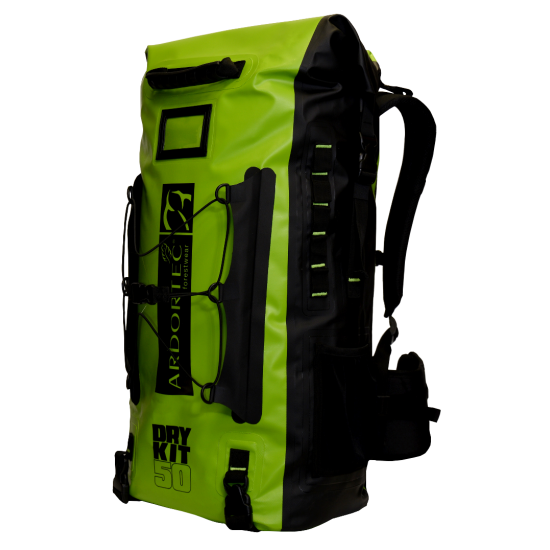 It boasts a great 50 litre capacity, big enough for all your tools, rope, gear, as well as a few spare items off PPE and first aid. It has a robust and hard wearing harness which is well padded and uses airflow mesh for cooling and extra comfort. 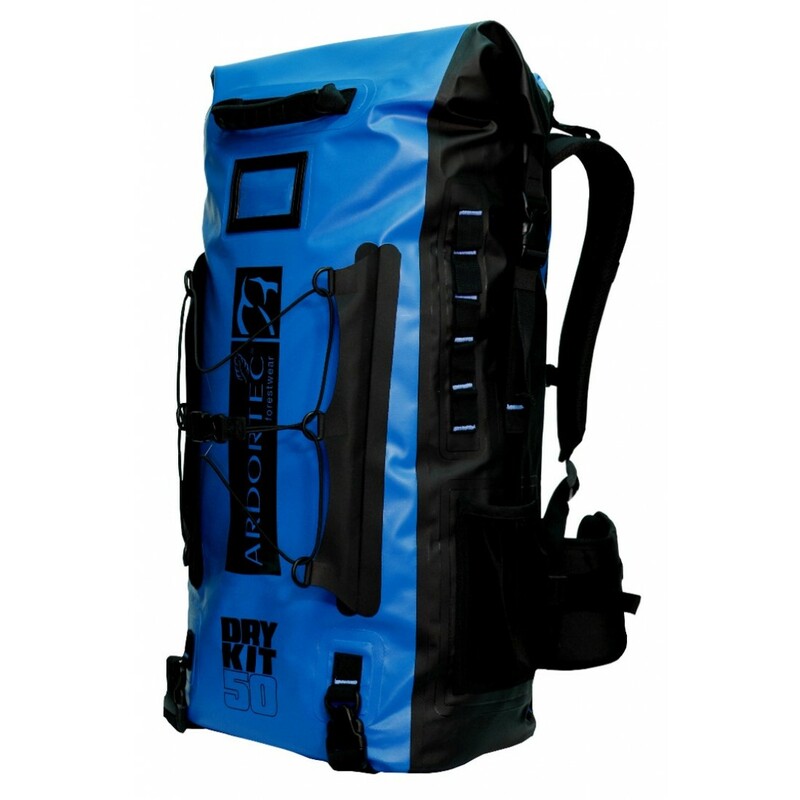 An ergonomic hip belt (with a handy zippered key-pocket) and a sternum clip, gives even distribution weight distribution and allows for hauling a loaded bag for a long distance. On the back of the pack there is a bungee helmet stowing area, which has quick release clips perfect for storing a coil of climbing rope which can be slung underneath the back using two quick release webbing straps. This will allow more space inside the bag if needed.